NBC News’ “Sunday Today” celebrated its third anniversary Sunday, April 14, 2019. 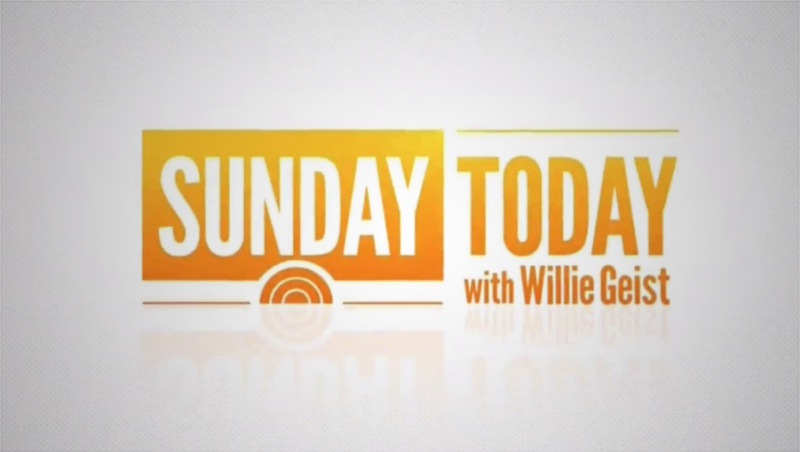 Instead of the normal news and lifestyle content in the “Today” format, “Sunday Today” is designed to compete against CBS’s venerable “Sunday Morning” with a format that emphasizes longer form packages and interviews. Hosted by Willie Geist since its launch, “Sunday Today” was originally taped in Studio 1A, the home of its weekday big brother — but with the windows covered. The show would evolved into using the windows more prominently — and also had a one week stint on the old “Megyn Kelly Today” set.